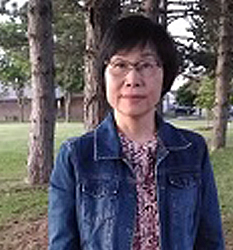 Congratulations to Christina Tsang, who will be retiring on October 5 after 36 years of dedicated service to the university. Since the implementation of HRIS in 1998, Christina has been our “go-to” person for HR Payroll at U of T.
Learn more about Christina below, and please join me in wishing her all the best in the future! During my 36 years at U of T, I progressed through as a software developer at BIS (Business Information Systems), DAMS (Department of Administration Systems), UTCS (University of Toronto Computer Systems) and then as an Information Technology Analyst at EASI. I was in the original team that brought in SAP HR/Payroll/OM Modules in 1998. In the first few years, after we went live with the SAP software systems, we experienced a lot of challenges related to technical issues, data quality issues, mindshift issues and as well as many late nights! It was challenging to work through these issues, but it was also highly rewarding. Our efforts and contributions to successful projects were recognized with various awards such as the Distinguished Service Award and the Outstanding Staff Team Awards. What will you remember most about EASI? EASI has let me produce the best work possible. I’ve had a lot of opportunity for professional development and to move forward and learn. I think that the people I work with are so important. It’s a very collaborative environment and we see each other through any challenges. What will you remember most about U of T? I really like U of T’s architecture – it reminds me of Oxford and Cambridge Universities. Convocation Hall is my favourite because of its size and location. I love walking around campus and seeing all of the buildings. I also like that U of T is an oasis in the centre of Toronto. You can easily go to Kensington Market or Chinatown and then you can enjoy the peacefulness of the St. George campus. I really like to see movies that were filmed on campus, like Good Will Hunting. What do you plan to do in retirement? For retirement, I plan to take a permanent holiday. It will be an opportunity to spend time with family and I really want to travel the modern Silk Road in China on a high-speed train. I also plan to stay active – it’s important to keep moving and keep your body and mind engaged. Outside of work, I enjoy line dancing, cooking and investing, and I plan to continue with those activities. What words of wisdom would you pass along to others? Care for others and show that you care about your team. Everyone goes through different stages in life and a small conversation can go a long way. Also, work hard – set goals and you’ll be rewarded for your effort.